Axel & Pixel is a point and click adventure game that is available on Xbox 360, Xbox One and PC. The game offers a very surreal and bizarre adventure and there simply aren’t many games out there like it. The game follows two main characters, Axel the painter and his dog Pixel as they explore Axel’s dream world which is full of mysteries. They enter this dream world after being hypnotised by a lullaby one day inside their house. Ultimately your goal is to escape by defeating the Evil Rat and an Ice Giant while painting a picture of all the seasons in a single day. 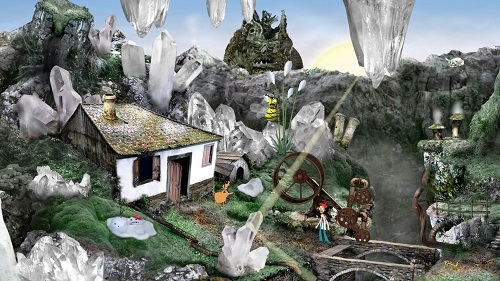 The game starts out in a snowy environment and eventually takes players across spring, summer and autumn as they chase the Evil Rat through the seasons in this surreal dream environment. Throughout this journey players will also try to find a number of collectibles which includes bones for your dog Axel. Gameplay of Axel & Pixel follows a point and click style of gameplay so players of classic games in this genre will quickly pick up the gameplay. Axel & Pixel is by no means an easy game with plenty of odd and obscure puzzles to solve which ties in with the bizarre atmosphere. The games cursor will light up or have the controller vibrate in the Xbox 360 version to give players some help though. The absence of dialogue also significantly increases the games difficult with Axel only speaking gibberish during the adventure. Puzzles are fairly varied with very few repeating elements which is always a hard bar to reach in a puzzle adventure game. 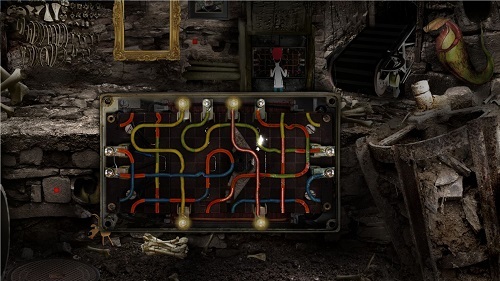 In addition to point and click gameplay Axel & Pixel players can also expect a number of quick time events and mini games to break up the puzzle gameplay. If you want something strange and bizarre and are a fun of puzzle point and click adventures Axel & Pixel will definitely have you entertained for an afternoon or two. A point and click puzzle adventure game. Follows Axel and his dog Pixel through the four seasons. Mini games and quick time events break up the puzzle gameplay. Weird and wacky game world. On Windows and Xbox 360 and Xbox One.